If you are visiting with us for the first time, welcome to our office. We would like you to know exactly what to expect on your first visit, and we want you to feel relaxed and comfortable. 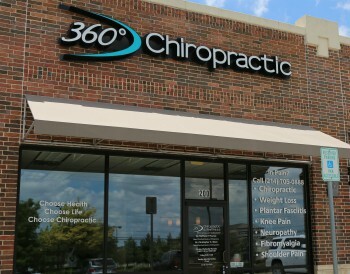 Many patients describe our office as friendly, attentive and heart-centered. We hope you agree. We run our office very efficiently, so your first visit will only take about 20 minutes. You’ll be warmly greeted by one of our office staff upon your arrival, and invited to sit down if you have not already completed your new patient paperwork. Our office manager Ses will then take you on a general tour of our facilities, and will conclude his time with you by taking your health history in our comfortable consultation room. 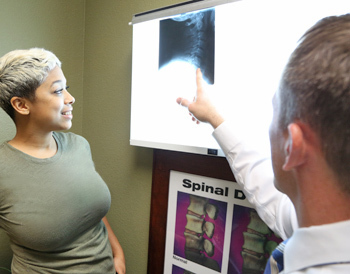 One of our doctors will then conduct a thorough assessment, including an orthopedic and neurological exam and X-rays, if necessary. He will conclude your visit with specific home care recommendations to help you start the process of inflammation reduction and pain relief. During this visit, the doctor will deliver a report of findings, which is a review of your examination and X-ray results. Customized care options will be discussed, and a plan of action considered to help you get out of pain as quickly as possible. This part of the visit will take approximately 10 minutes. You’ll then be able to receive your first gentle chiropractic adjustment, as well as any additional therapeutic modalities if deemed necessary. Our clinic accepts most insurance, and we will be able to let you know exactly what your insurance does and does not cover in our office. We understand that not everyone has insurance benefits, so we also offer affordable cash plans, as well as generous family plans for your convenience. In our office, we have a reputation for tailored treatment that is results-oriented. We want to partner with you in optimizing your health in the shortest amount of time possible. Many of our patients, once they regain their sense of wellness, choose to continue to receive adjustments to maintain the benefits of pain-free living and a sense of well-being. You may feel the same way, but the choice is always yours to make.